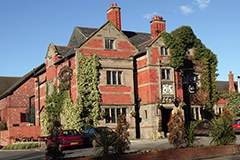 Situated amongst glorious views of the stunning Cheshire countryside with serene gardens and elegant dining suites, the Grosvenor Pulford Hotel & Spa offers the perfect setting for any private celebration. 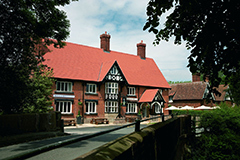 We cater for birthdays, anniversaries, Christenings, wakes, proms and much more. However you wish to celebrate your special occasion, we can help create a wonderful event filled with plenty of lasting memories. As well as offering a selection of celebration packages, we can design a bespoke menu and offer advice about accompanying wines to suit your exact tastes and preferences. Your private dining experience can be enhanced with ambient lighting, stunning chair covers and striking table centrepieces. We can even set up a bouncy castle in our landscaped gardens to entertain your younger guests. Attention to detail is everything at the Grosvenor Pulford Hotel & Spa and our considerate staff are always on hand to make your event extra special. 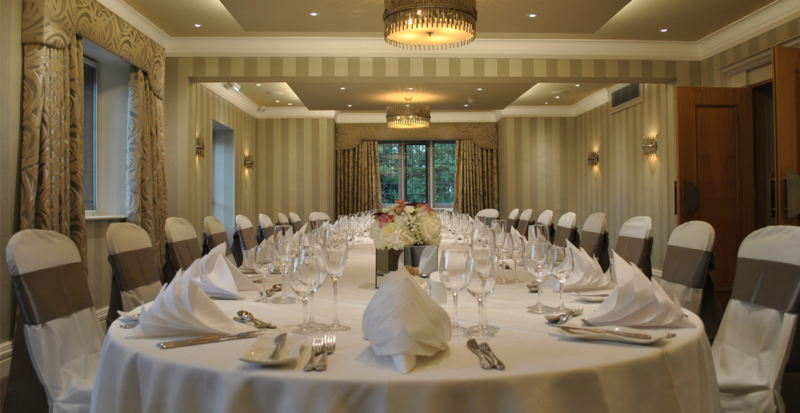 Accommodating up to 200 guests, the elegant Grosvenor Suite is our largest private function suite. A fully self-contained banqueting room, it boasts a private entrance, bar and washroom facilities. Guests can easily move between the Grosvenor Suite and gardens to get the most out of our beautiful location. Our recently refurbished Westminster and Belgrave Suites are simply exquisite. The cool décor and ambient lighting of each room create an atmosphere of pure opulence in which to celebrate. If desired, a well-stocked private bar can be installed in either suite. 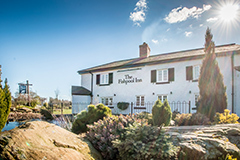 As well as being available as individual suites for up to 50 guests, the Westminster and Belgrave Suites can be connected for larger parties of up to 100 people. Overlooking our peaceful grounds, these breathtaking suites offer an elegant venue for the most stylish parties. Our brand-new, luxury restaurant and piano bar Palm Court is the ideal space for an intimate celebration, featuring an elegant European cuisine experience in a plush, sophisticated setting. This luxurious setting is home to the unique Laurent-Perrier wine cave, an indulgent private location featuring floor-to-ceiling wine racks stocked with almost 100 wine and Champagne varieties from the old and new world. Seating up to eight guests, this exclusive setting is the perfect space to entertain in style. 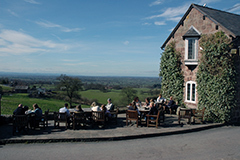 In the warmer months, we can offer a wonderful outdoor dining experience. A mouth-watering barbecue can be served in our thatched dining gazebo overlooking our garden and pond. We can also serve a summer menu in a picturesque courtyard, which features a central fountain. Our experienced and friendly events team is available to discuss your needs on 01244 570 560. Alternatively, you can email events@grosvenorpulfordhotel.co.uk.